Our world famous combination of Bacardi Superior Rum, Bol’s Orange Curacao, Billy’s secret Mai Tai mix, and a generous float of Diamond Head Dark Rum. Served over crushed ice in our custom Billy’s glass. Get ready for a trek to the fiery crest, and, bring a friend, 'cause nobody goes in alone and returns alive! Slosh your way through the citrus, rum and brandy, as you beat the heat of the 151 inferno in a big bowl of yum. Although, It’s not a race, enjoy! Named after the Olympic gold medal Billy won in the men’s 4x100 meter medley relay in the 1964 Tokyo Olympics. This is how he liked his margarita: with gold tequila, fresh citrus, a touch of pineapple, and a Tajin rim! “Red sails in the sunset, way out on the sea. Oh, carry my loved one, home safely to me.” It was Billy’s jam... make it yours! Malibu rum, guava, and pineapple; bottoms up! This Billy’s classic is fashioned from Bacardi Superior Rum, Meyer’s Dark Rum, Trader Vic’s Mai Tai mix, Trader Vic’s Orgeat Syrup, fresh lime juice, and topped with a float of Bacardi 151 Rum. Garnished with “bruised mint’’ and a rock candy stir stick. 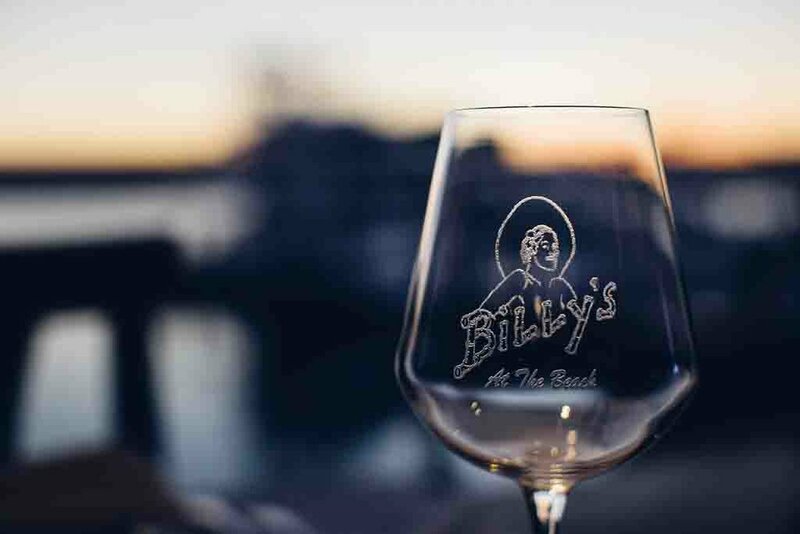 Served over crushed ice in our custom Billy’s glass. An in-house bartenders cool creation that delivers a one of a kind Three Olives Cucumber Lime vodka mist. This “Hugito Mojito” will have you blushin', and with just the right amount of mint on the finish, we know you’ll be crushin! bourbon rum-coction has made it to the mainland! Bombay Sapphire with a twist of fresh lemon, Cointreau, and an egg white fizz for a cool and refreshing fuzzy finish. This fruity and creamy standard is made with Bacardi Superior Rum and Billy’s homemade Piña Colada mix. A beachy twist on a modern classic, mixed with Smirnoff vodka and a homemade coconut infused syrup. SHARK! Belly-up to this yummy gummy shark rum punch and take a bite out of ocean crime. One delicious drink at a time! coconut syrup will surely satisfy your passion for the Old Fashioned.